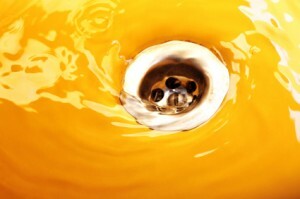 Any type of plumbing issue can obviously be a hassle, but a clogged drain is near the top of the list of the worst ones. If you have a clog, you can’t use a sink, toilet or even take a shower comfortably. There are several types of solutions on the market that are designed to handle serious clogs, but sometimes they don’t quite measure up to their manufacturers’ claims. Or they’re made of harsh chemicals that can do a great deal of damage to your pipes. Why doesn’t the dishwasher completely drain itself? Do unused drains dry up and get rough inside? We know how busy life can get in New York, of course, and we know that plumbing issues tend to take place at the worst possible times. That’s why we’re here 24 hours a day, seven days a week to take care of your drain cleaning needs. Whatever it takes to solve the problem, we’ll be able to do it – that could mean using the traditional “snake” or hydro-jetting with a powerful stream of water that can cut through any type of clog. If you ever need an emergency plumber for any type of problem – whether you need drain cleaning, you have a burst pipe, your water heater malfunctions or anything else – we’ll be here for you. Give us a call at 800-547-1422 or contact us online and we will provide you with prompt, courteous and efficient service. A major reason many homes require a professional drain cleaning is because of built-up grease in the pipes. At Star Cities Plumbing we can clear the problem. The best plan, however, is to aim for no grease in drain pipes in the first place. Grease is a byproduct of food preparation. It can be residue from meats, butter, margarine, lard, food scraps, sauces, salad dressings, dairy products, and cooking oil. The best way to have no grease in drain pipes is to prevent it from reaching the pipes to begin with. Fats left in a cooking pan may be cooled and transferred into a container for recycling or disposal. Pans can then be wiped of any excess. Running hot water over a pan does not effectively dissolve the grease. The garbage disposal does not prevent damage from fats in the drain, either. Food scraps are best collected in a drain strainer and thrown away. When grease hardens in the pipes it can eventually cause sewer pipes to clog. This may lead to sewer overflow. Raw sewage can backup into a home or into the landscape. Clogged systems may affect municipal water supplies. In addition to health concerns, there are economic factors to consider as well. Digging up and replacing pipe is expensive. While prevention may be the best strategy, clogs do sometimes occur. Chemical drain cleaning products may dislodge a clog, but they do nothing to actually dissolve grease. They may even damage your pipes. Homemade solutions such as baking soda and vinegar or boiling water may take care of a smaller obstruction, but a serious grease clog may call for professional attention. At Star Cities Plumbing we believe that making sure there’s no grease in drain pipes is the best possible solution to a clog, but we understand that it happens. 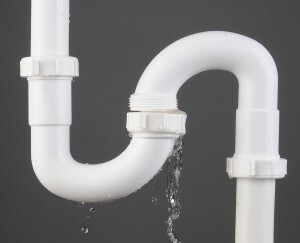 Contact us online or call (800) 547-1422 when you need a drain problem cleared up. Doesn’t it seem like a clogged sink happens at the most inconvenient time? Without fail, your sink will start acting up just when you’re already late for work, trying to get ready for a big event, or when you simply don’t have time to wait for the plumber. Fortunately, Star Cities Plumbing can teach you how to fix clogged sink issues on your own. Baking Soda and Vinegar – Pour a quarter cup of baking soda down the drain, and then add a quarter cup of white vinegar. The mixture will foam, and the foaming action may loosen the clog. Let the solution sit for about twenty minutes before flushing the drain with hot water. Hot Water – Heat water in your tea kettle to a boil, and then flush the drain with water. If you have a small plunger, you can try using plunging action on the drain. The suction of plunging can create movement of the obstacle and potentially loosen the clog. Then flush with hot water again. Use a sanitary plunger in your sink – preferably a clean one that is not used for the toilet. Call a Professional – Sometimes following DIY tips for how to fix clogged sink issues will only get you so far. 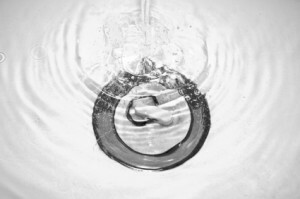 If you are unsure about trying to unclog a drain by yourself, or if you have tried the above methods with no success, call your local New York City plumbing professionals to come and take a look. At Star Cities Plumbing, we pride ourselves on being friendly and efficient when you’re wondering how to fix clogged sink issues. Contact us today at 917-470-9887. At Star Cities Plumbing, we are all about the encouragement of natural products and solutions that protect the world we live in. In the plumbing industry, we are well aware of many harmful chemicals and solutions that are being flushed down drains on a daily basis within the walls of the average home. We would like to show you today that there are many benefits to using a natural drain cleaner for the environment and for families. When using a typical store bought drain cleaner, thousands of chemicals and harmful particles are being washed down the drain and out into the environment. While much of this waste is contained, any case of leakage would lead to these chemicals finding their way back into the environment. If you are looking to be a more eco-conscious consumer, you may want to consider the many benefits of a natural drain cleaner. For many homeowners, the safety of the family is one of the most important factors in purchasing any home use product. As you make your decision on which cleaners to bring into your home, natural cleaners are often a safer choice for protecting yourself and your family. If you or another family member is sensitive to regular store bought cleaners, many natural brands are hypoallergenic and allergy friendly. Some of the drain cleaners on the market today are filled with chemicals and warning labels as for what and what not to do when cleaning. Being aware of which chemicals cannot be combined is critical to the use of a typical drain cleaner. When using a natural drain cleaner solution, mixing of substances is not a typical cleaning concern. Most natural cleaners are just as effective as any other drain solution on the market. Whether you are looking for more eco-friendly plumbing tips or you need New York City plumbing repair, our team at Star Cities Plumbing would love to hear from you at 800-547-1422.